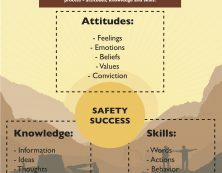 In CORESafety’s Module #5, you learn how to assess a miner’s training needs, based on their level of knowledge and skills required for each task. You also learn why it’s important to verify his or her competency through demonstrations. Whether we’re talking about education, training or development, the primary focus should be on learning. 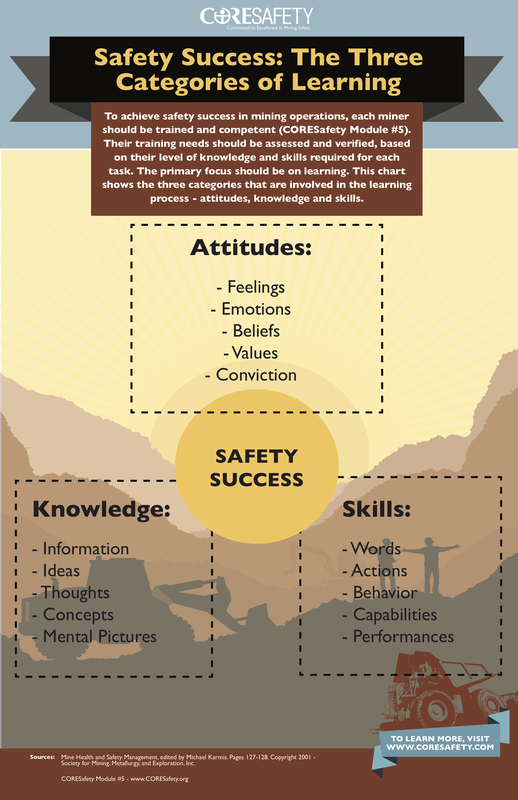 When it comes to safety success, there are three categories involved in learning – attitudes, knowledge and skills. To share this chart within your mining operation, click here to download.